Dandruff is an extremely common scalp condition which is not in any way connected to bad hygiene, that may cause serious scalp itchiness and possible social embarrassment. Even although dandruff has absolutely nothing to do with hygiene, dandruff is considered to be caused by uncleanliness which is in itself a myth. The fluorescent lights of some places really show up dandruff causing it to be extremely visible to everyone, who then point it out to everyone. Dandruff is actually a very common and perfectly normal problem. Dandruff is possibly the most common disorder of the scalp and affects more than fifty percent of the population. Treated correctly it is not a major problem for most people. Lots of people imagine that dandruff may be passed from person to person, but it’s just not true. Dandruff isn’t contagious and the fungal bacteria that may result in the appearance of dandruff can be found on nearly everyone’s scalp, meaning everybody has the potential to suffer from dandruff. Dandruff flakes are generated by a dry scalp. Actually, dandruff flakes develop from a fungus called P.ovale that develops naturally on everyone’s scalp. 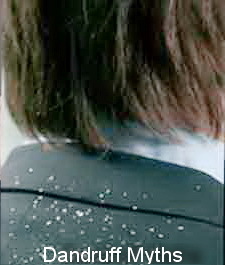 When the fungus P.ovale begins to multiply thus dandruff flakes may appear. A dry scalp is generally thought to be a reaction to the body producing lower than normal levels of sebum – the skin’s natural oil. 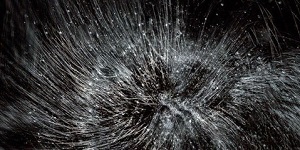 Certain Hair conditioners, shampoos and styling products could make my dandruff worse. You ought to be capable of deep condition your hair without concern and make use of all of your favorite styling products provided you have taken steps to try and control the dandruff. Weather may be the cause of dandruff. Low humidity may help to trigger dried out skin which can result in flaking however weather alone is not going to cause dandruff. Obviously, while dandruff isn’t merely a consequence of poor hygiene, regularly washing your hair will help make a beneficial difference. While dandruff will not actually cause hair loss it is always important to keep the scalp as clean as possible therefore eliminating dandruff can only help with hair loss. Normal shampoos can get rid of dandruff. You do need to use a good quality anti dandruff shampoo that will clear up the problem. Most of the better shampoos are actually the ones that contain ketoconazole. Although there is no actual cure for dandruff the problem is easily contained and it should not be a problem. Worries, stress and other factors can possibly help to make the condition worse. These type of products do not cause dandruff, while some may leave a residue on your scalp it is not dandruff. All flakes on the scalp are a sign of dandruff. Dandruff is only one of several problems that can be associated with flakes on the scalp. You may also be suffering from scalp psoriasis or even seborrheic dermatitis. Seborrheic dermatitis usually appears as thicker sticky, yellow coloured flakes. Which can also be itchy and inflammatory. Seborrheic dermatitis is not only limited to the scalp. You can find flaky patches in your beard, eyebrows and ears.